Jalali noted that the plan has 17 articles and 10 sections and stated: “Section 7 of the plan emphasizes the support for the country’s armed forces. In this section, the government is obliged to appropriate 1000 billion Tomans to expand the missile activities and confronting terrorism and allocate another 1000 billion Tomans to IRGC’s Quds force. Earlier, the head of the regime’s National Security Commission said the plan was prepared in response to recent U.S. Congressional action against Iran. 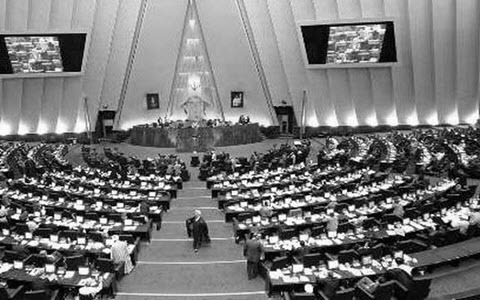 On June 15 this year, the U.S. Senate approved a bill with an overwhelming majority to deal with the destabilizing actions of the Iranian regime. In this plan, Iran's ballistic missile program is considered a threat. The bill introduces binding sanctions against anyone involved with Iran's ballistic missile program as well as business partners. In addition to the plan, the US has also imposed unilateral sanctions in the recent months on individuals and companies associated with the Iranian regime’s missile program in response to missile tests.